St. Catharines Ontario’s Total Land Care Services has proudly served the St. Catharines, Welland & Niagara region as a “Property Maintenance Company” in the Niagara Region since 1989. From grounds maintenance to landscape construction to snowploughing services, Total Land Care Services handles it all. Blue Tide worked with Robert to create a WordPress website design that would serve the needs of Total Land Care Services now and in the future. Using a top slider plus grid layout, the Total Land Care Services WordPress website provides a clean, easy-to-navigate experience for users. Is your landscaping company or property services company considering a new website or website redesign? 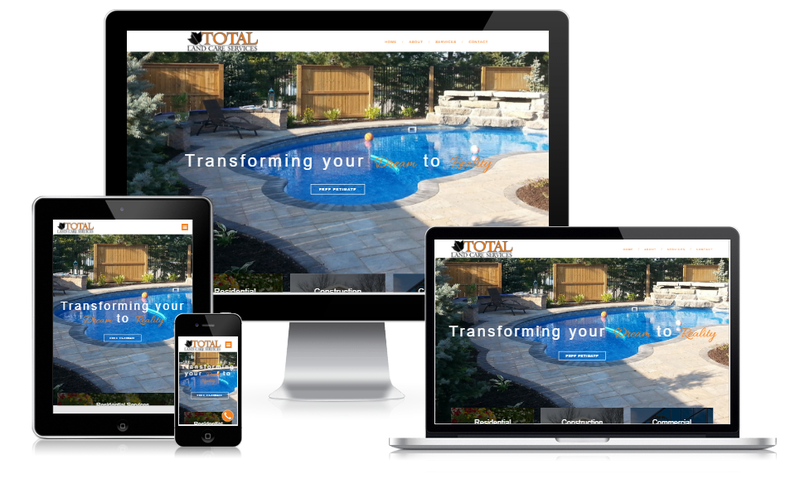 Give us a call to review your website design options, the ability to setup website based scheduling, local SEO for a landscape company or anything you’ve considered from an online marketing standpoint. Blue Tide Website Design is built on helping clients make the right online marketing investment decisions. Call – text or email today – 416-889-7812 – Contact Us.